Read an article in The Guardian a while ago that one of the most famous high street chain sells a Nutriblender (replace blender with the famous name) in every 4 minutes. Is this just a fashion statement or stairway to healthy living or even just convenience? I never had the budget for a Nutri Ninja or Vitamix S30, but only had dream on the Breville bend, which is on the lower end. 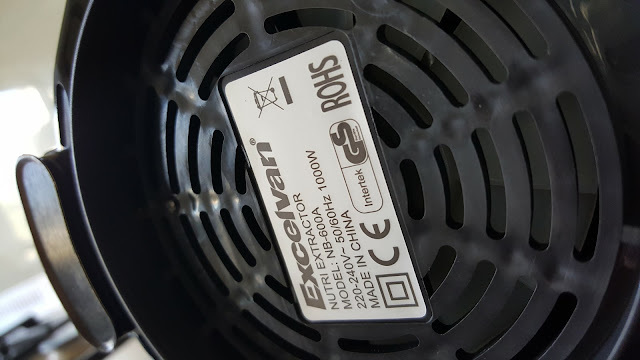 But luckily Excelvan agreed to send one for testing, so this may be a new chapter in my life. 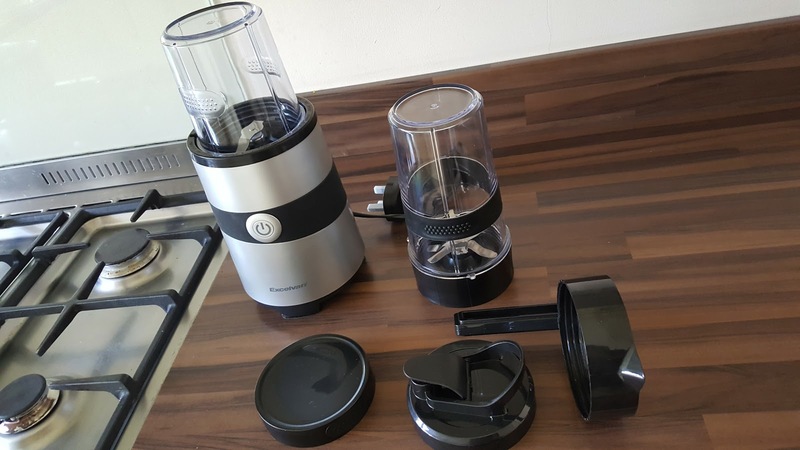 Simply put, the difference between a normal juicer and these sports blenders is Juicer removes most of the fibre from fruits and vegetables but Nutri blenders keeps the fibre in the blend and gives you pulp / smoothies. Is this just a fashion statement? NO! 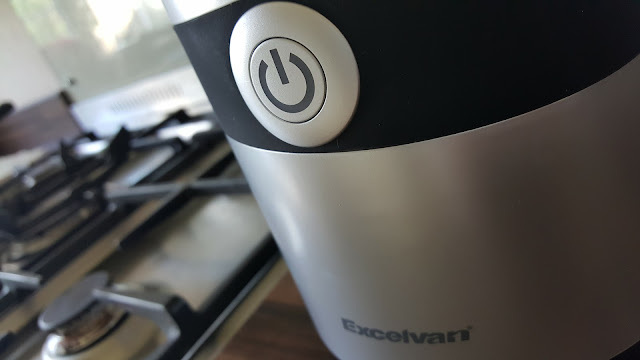 Excelvan Nutri Pro works exactly as the most famous brand’s active blender, but with more powerful motor. 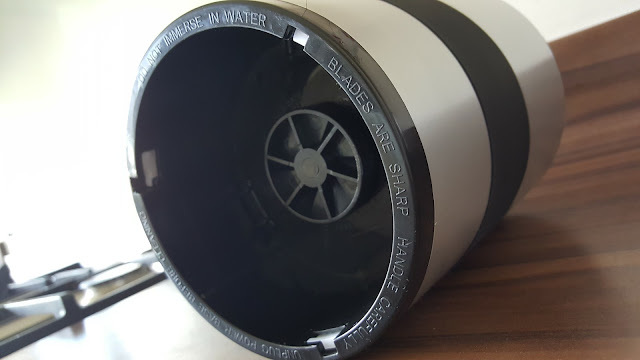 Ease of use and simplicity is something you feel even straight out of the box. Comes with 2 jars, 600ml and 350ml both can be directly attached to blender with blade attachments and once completed the same jars can be used for drinking the smoothie. 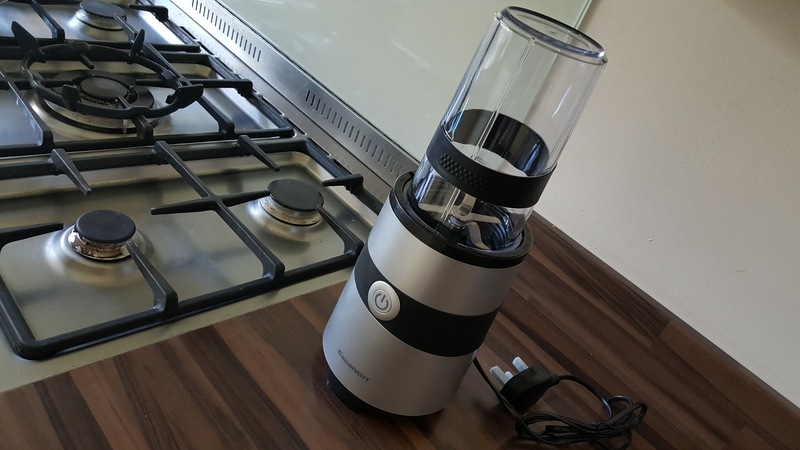 So, just one gadget with small footprint, you have everything that needed for a fresh juice or smoothie. 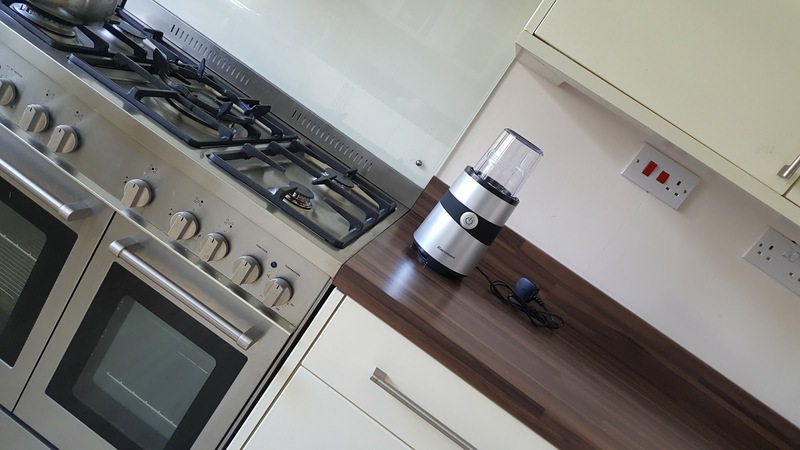 Base of the unit has strong suction cups, which makes the whole system to hold securely to kitchen worktop. 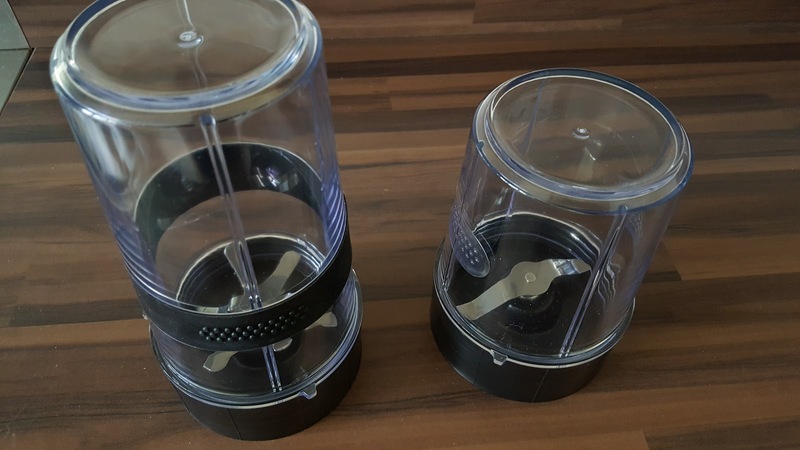 The Jar locks are strong and secure so you don’t need to hold the jar with your hands whilst in use. Comes with 2 separate blades, 6-fold pulverizing blade and milling blade. 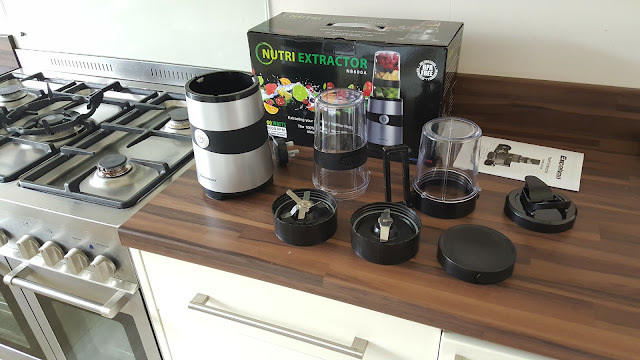 I’ve been using this Nutri blender for past 1.5 weeks and had smoothie everyday. 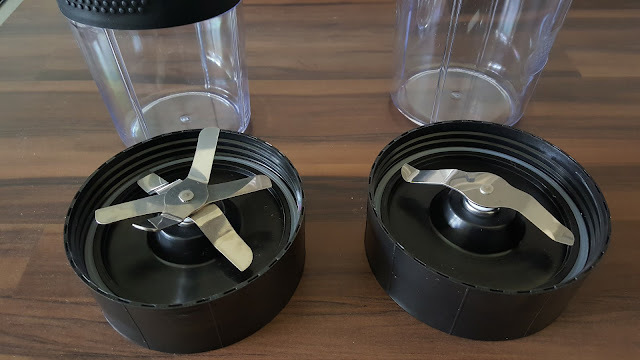 One thing I noticed the interest in the gadget made me to find more recipe over internet and try out new ideas. There are plenty of youtube videos and recipe blogs available to keep your interest going that results in healthy living. 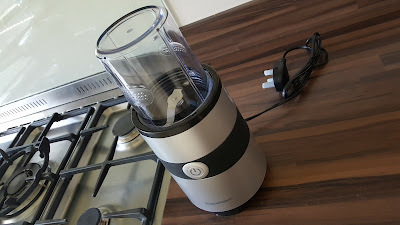 Overall a very decent blender that does the job, but for me most attractive feature is ease of use and convenience. 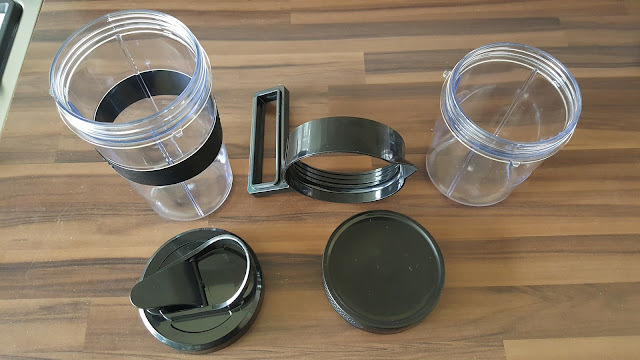 Please do check out the pictures to see what exactly you get and how it looks.